It's called a communications brush to help an owner and their pet cat better interact and communicate with each other. It's a metal brush - a pet hair brush inspired by another industry and company focused on metal files. This innovation comes from Japan, that is a nation of pet lovers. The company that innovated and is developing this product is Wataoka, with expertise in making metal files for 126 years. Here's how they've innovated their metal files into advanced pet grooming tools. The pet groomer has varying grooves patterned by the grooves in a cat's tongue. 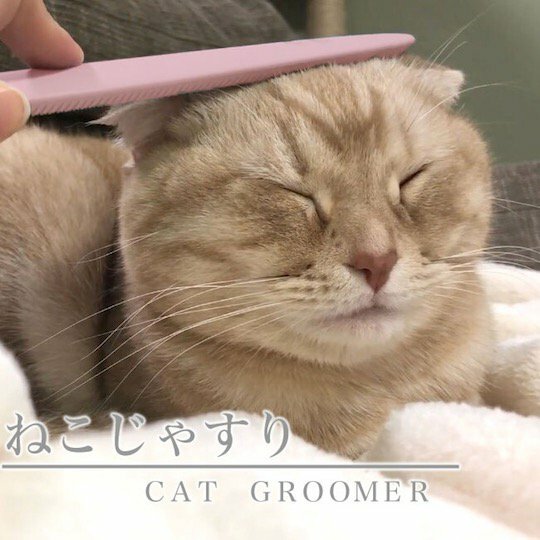 They say the grooves are great for brushing and grooming your cat. And, the cats are so familiar with the sensation they love it because it simulates what they do for themselves. Nedo-jasuri means cat file. The Japanese government is profiling this innovation and showcasing it as a breakthrough.